It probably didn’t make international news, but we had an earthquake hit yesterday. It was a 5.1 off the coast of Nicaragua. It has been about four years since we’ve felt any tremors. At first it was one rumble, but then a second came and it lasted just long enough for us to jump up grab Bella from her nap and run outside. It stopped soon after that and thankfully nothing fell down or broke in the house. It was quite a surprise though. We are definitely hoping for another good few years or so between this one and the next! We were driving through Catarina, a town outside of Managua the other day and came across this huge construction across the road. There was tons of fresh fruit hanging from it and it was nicely decorated. Apparently the local patron saint was going to be making the rounds for a festival day. Nicaragua has a heavy Catholic tradition and it seems every town has a specific patron, but this is the first time I have seen something like this. 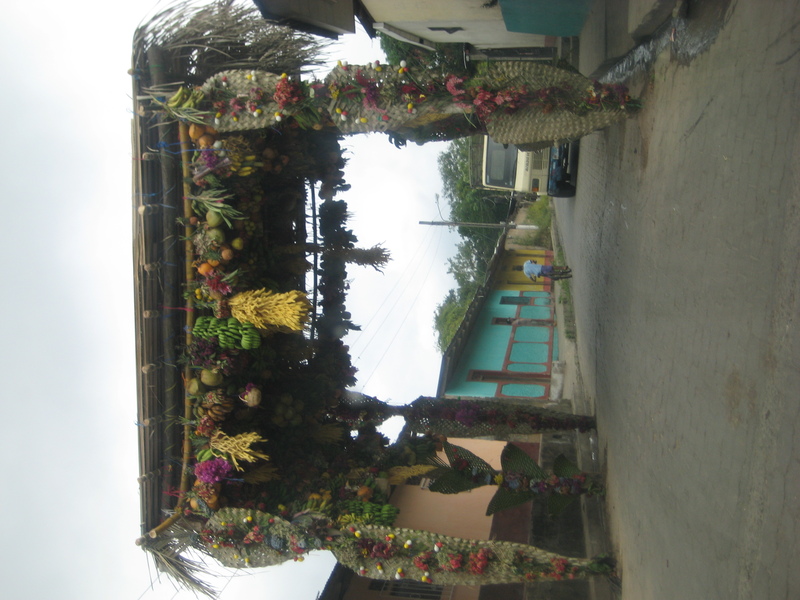 It was really impressive, but no, we didn’t try to snag a papaya or anything crazy!!! We are in the middle of the dry season and the winds pick up here dramatically. We noticed a few trees around our house were leaning and could fall on our house or vehicles. 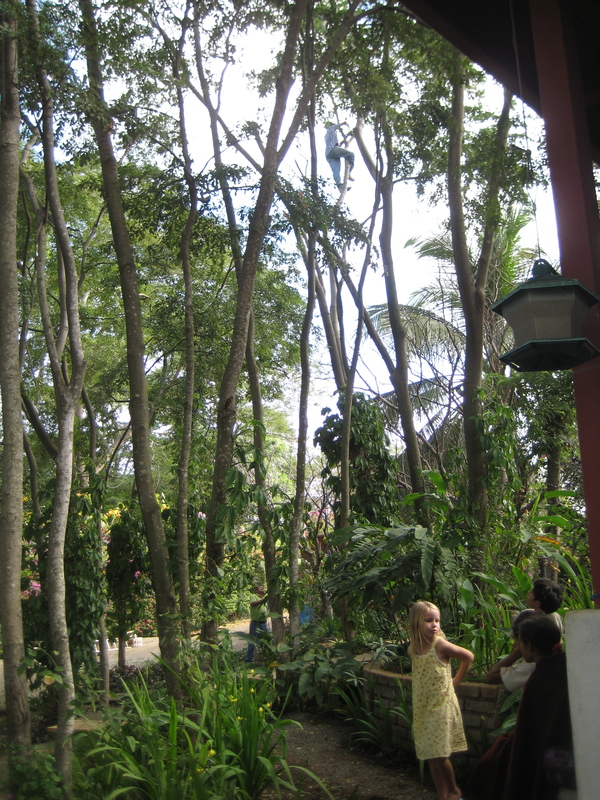 A couple of the same type of tree had already fallen, one while we were standing on our porch one morning. So today it was action time. 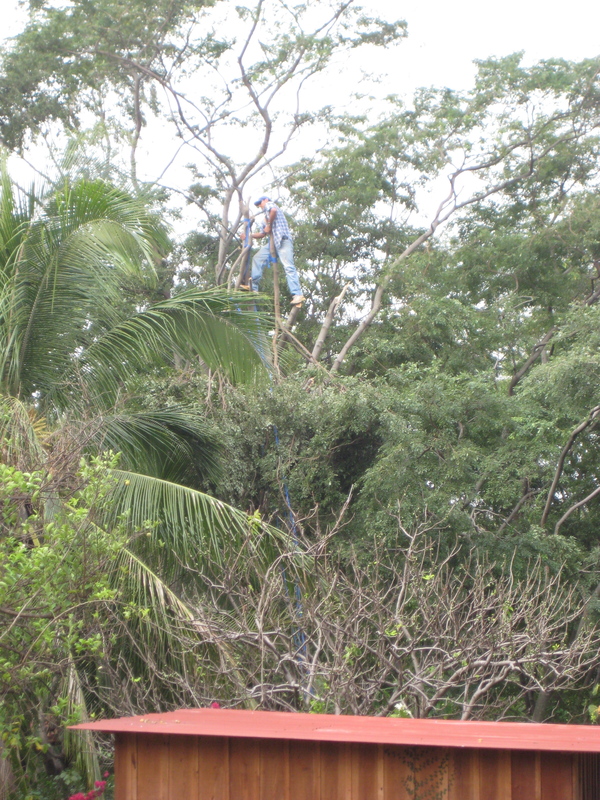 Yader who has worked for Open Hearts for many years scaled the tree and Santos (Open Hearts’ Foreman) spotted him. 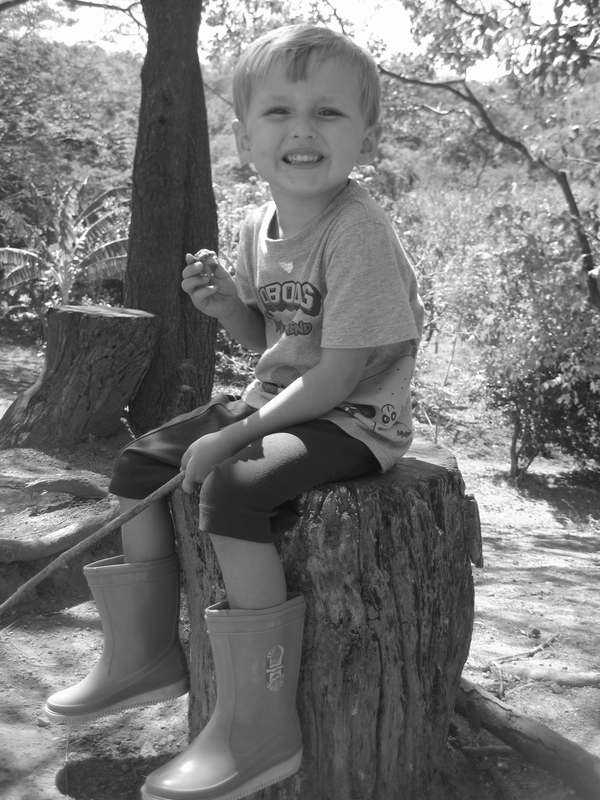 No safety ropes here folks….ah!!! Got to make a really cool phone call today. 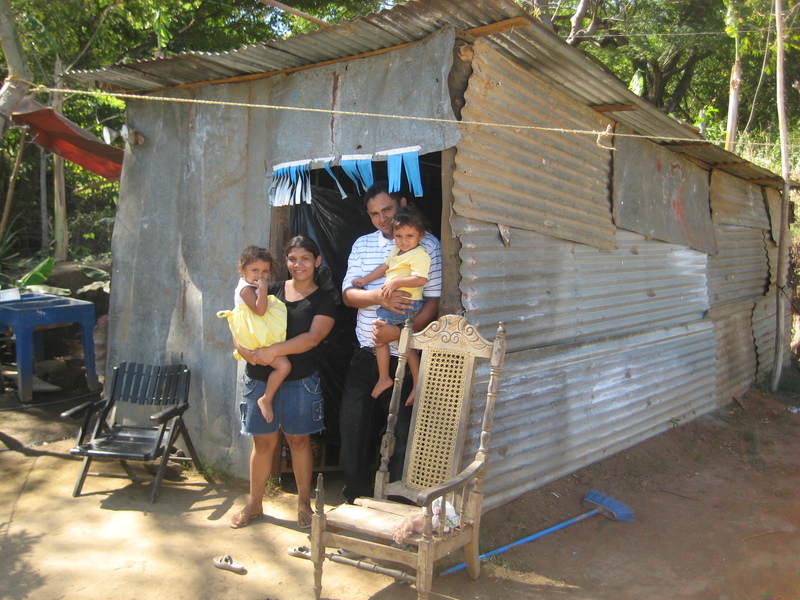 On February 5th Aracely, her husband Victor and their twin daughters Genesis & Mileyding will be getting a new house. Actually where they live now would probably not be considered a house to many. 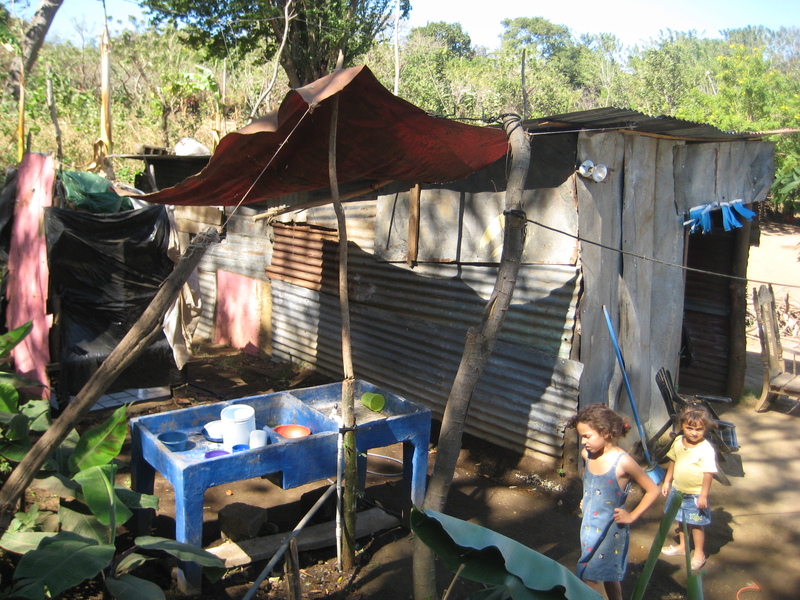 Life is very hard in Nicaragua and though not a common home in the U.S., their house is not uncommon here. Either way, this family is going to blessed in a huge way! 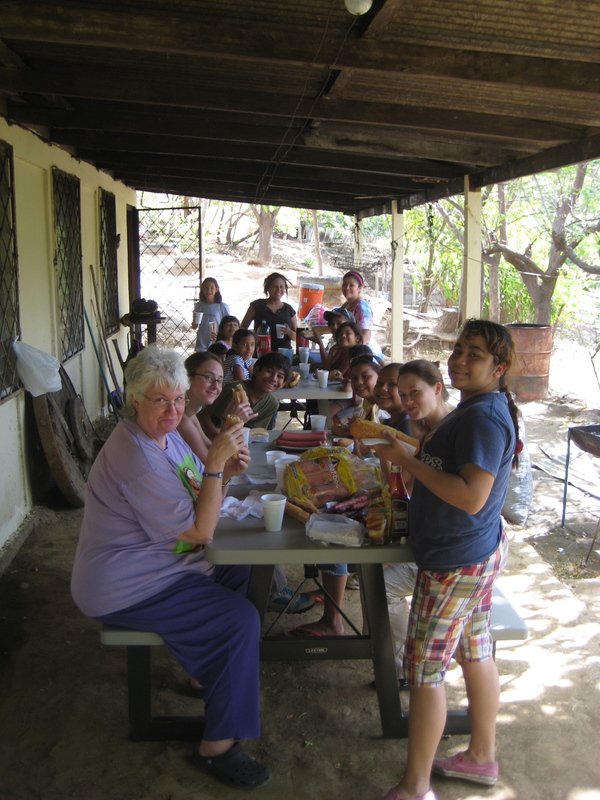 Palmer Trinity School from Miami has been building houses with us in this neighborhood for nearly the last decade. 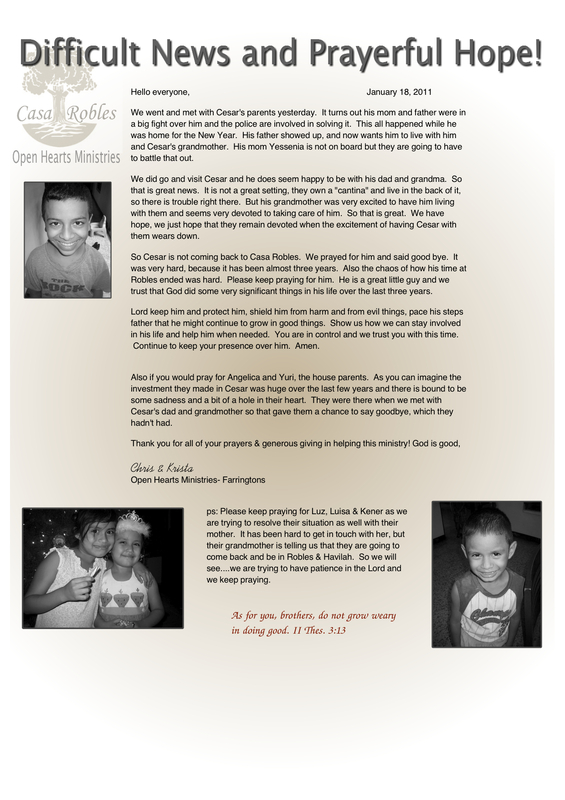 They are coming in February and Aracely, who had written a letter to Open Hearts asking for help last March, is going to be blessed with a new house! We tried to visit her last Wednesday and she wasn’t home. We were able to meet up with her on Saturday. Something really cool happened when we first got there. They were getting ready to go to church for a fasting prayer service. She told us how her pastor had just stopped by the day before to get her information to give to a ministry offering to build houses. The previous week I asked a friend Ezekiel to ask his brother, who is a pastor in the neighborhood, if there was anyone with great need. And if so could he get their information for me because we will be building a house again soon. So, it turns out God had something special planned for Aracely & Victor. Both sorting through the letters we received from the previous year and the reference of a local pastor led to them. This is not a coincidence and we are excited to be a part of what God has orchestrated. She was floored when she got the news today. Praise Jesus! 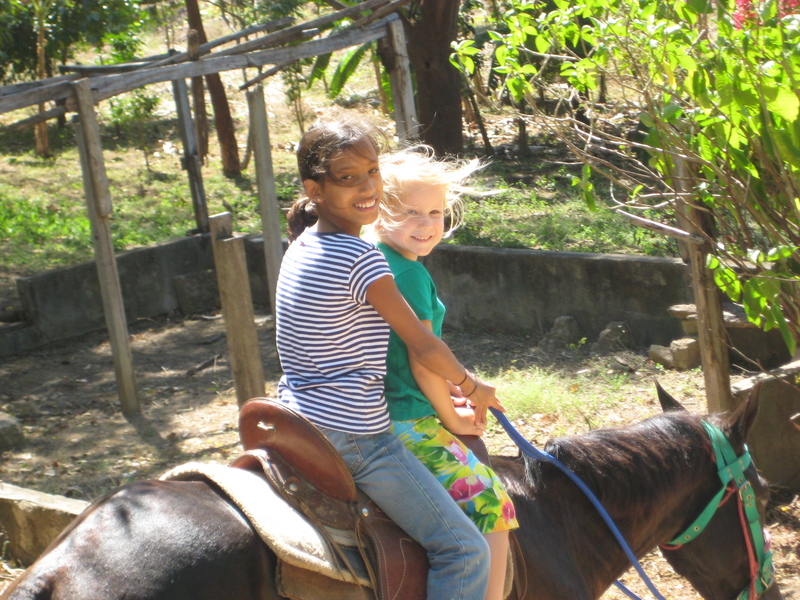 We took the girls from Casa Havilah and our families out to Ruby Ranch this week to ride horses for the first time. Lots of fun. We gave the big horse the name Jethro and the smaller black one we named Geronimo. We are hoping to add one for two more horses to the stable to be able to accommodate everyone when we have kids and groups come out. Aliyah was ready to go right off the bat, but Mason was a little nervous at first. 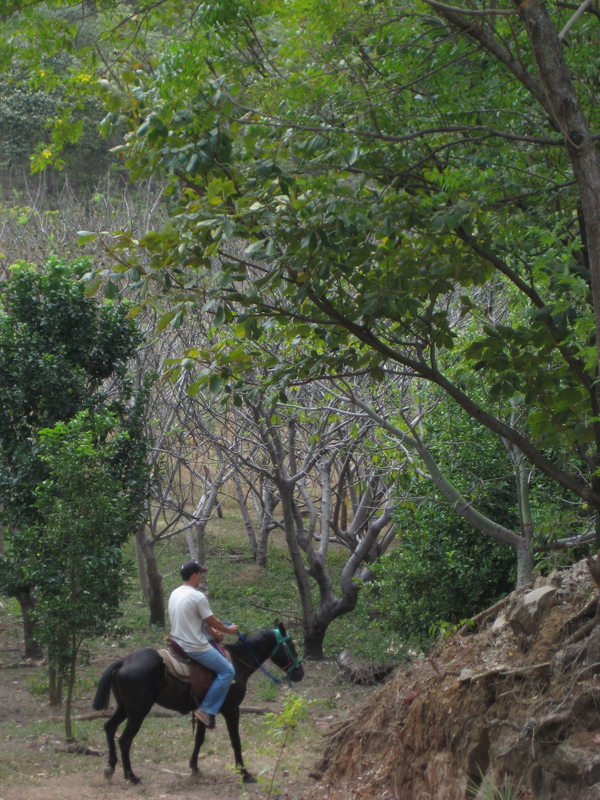 By the end of the day though he was galloping with daddy. Some of the older girls from Casa Havilah were actually riding solo. 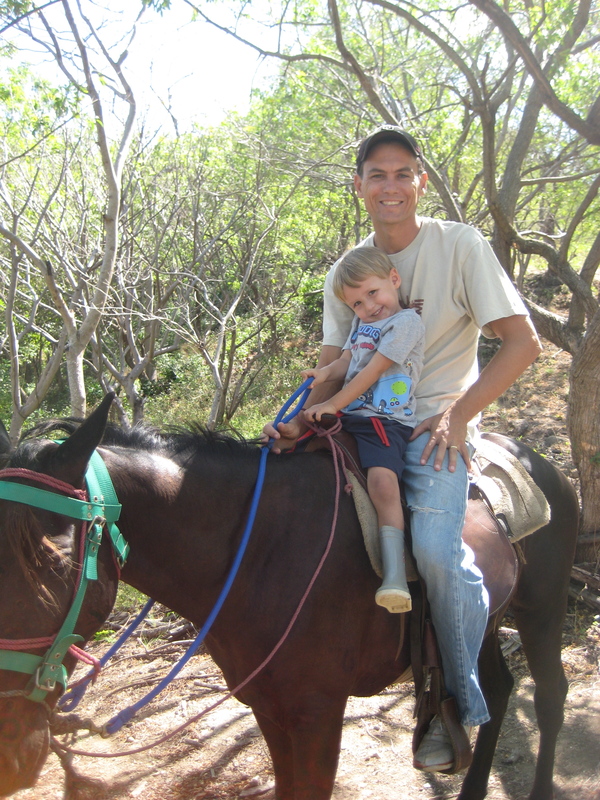 We are all really excited about having horses at Ruby Ranch!!! “Now, son of man, say to your people: The righteousness of the righteous person will not save him on the day of his transgressions; neither will the wickedness of the wicked person cause him to stumble on the day he turns from his wickedness. The righteous person won’t be able to survive by his righteousness on the day he sins. When I tell the righteous person that he will surely live, but he trusts in his righteousness and commits iniquity, then none of his righteousness will be remembered, and he will die because of the iniquity he has committed. It is interesting to be reading through Ezekiel and come to this passage. He spent several chapters detailing the annihilation of entire nations for their iniquity, not as it had happened, but as it was going to happen. It was intense. Then he turns in this chapter and tells Israel how they can have hope for restoration…in verse 11 with loud emphasis Ezekiel says REPENT, and follows with the above verses. These verses struck me because they are so focused on the moment of an encouter with God. There is no reward for past righteousness of an individual or that of his family, nor is there condemnation for ones past wickedness or that of his family. “I take no pleasure in the death of the wicked.” says the Lord. REPENT. For us today, there is that moment when God is present and we know He is there and He is saying repent. It has nothing to do with how we are defined, known, veiwed, etc., righteous or wicked….it has to do with that moment. God does not delight in the death of the wicked and is calling us to repent. Likewise, I may know personally that I am saved, but I need to tread lightly if I start viewing my righteousness as my salvation because at the moment of iniquity I will fail miserably. Jesus Christ had not yet come when Ezekiel wrote, but the truth that we are not saved by our own righteousness was already being proclaimed. As a follower of Jesus, His blood is what makes me righteous, at the moment of iniquity I need to cry out not claiming to be righteous but that I am covered in the blood of Christ. Yesterday, I was sitting with an 87 year old woman in a community where we build houses. Five of her twelve children were sitting with us. She can’t do much but sit anymore, but it was a great moment to be sitting there with her on her porch. She told us how the other day she fell out of her chair backwards and smacked her head on the floor. She was sure it was the end. Then she heard a voice telling her, cry out “the blood of Jesus”. She cried out. She didn’t die, where she thought she had a huge gash their wasn’t one, she was able to get up. She said she didn’t even go to the hospital or anything. One of her sons added “Satan was trying to take her, but she is still here with us”. Now I know her story is not in the same vein as our culpability for sin/righteous not being able to save us. But all the same, for Maria de los Santos, Jesus’ blood sustained her when she was pretty sure she was going to die. For those who are saved, the blood of Jesus has such great significance, it is so powerful. The blood of Jesus is what makes us righteous at the moment of iniquity. Thank you Jesus for dieing for me! You are my righteousness, my hope, my salvation, my all.